For the functioning of Bal Bhavan,it has a three tier management structure. Responsible for the Organization's development, finances and major decisions. For formulating programmes and activities of the organization for children. Consisting of concerned citizens to assist in any activities of the Organization. Since its inception in 1980, Bal Bhavan has made a quantum leap in its activities. It has been a vibrant institution pulsating with life and activities. 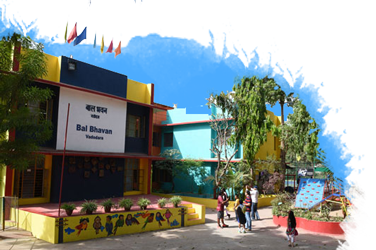 With growing popularity of Bal Bhavan, it was logical to expand the ongoing activities and introduce new activities with the result that over the period work load has registered a manifold increase as well as there is qualitative and quantitative improvement in the activities of Bal Bhavan. Over the years, the institution has gained enormously in stature with the Bal Bhavan movement gaining momentum. 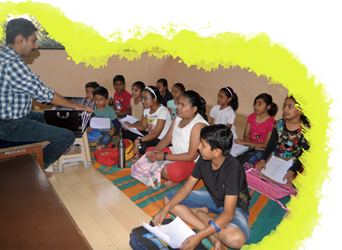 With the changed concepts in development of the child, the activities of Bal Bhavan continue to change and grow thereby throwing great challenges for the Director and the staff. Bal Bhavan Vadodara is headed by a Director. 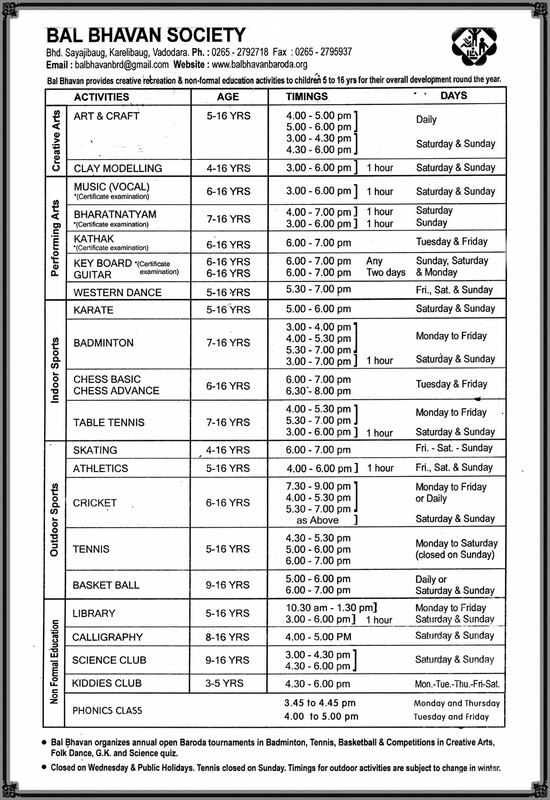 Besides the usual administrative and accounts wings , Bal Bhavan has got as many as eight activity units including Performing Arts, Creative Arts, Library, Science, Indoor and Outdoor Sports and Welfare projects. In discharging the duties, the Director is assisted by a Deputy Director and a Programme officer and other supporting full time and part time staff.